A Washington gun shop owner says raising the age limit on AR-15s is a solution that both sides will accept. (CNN) - In the wake of the deadly school shooting in Florida last week, one gun shop owner has decided to act, and will no longer sell AR-15 rifles to people under age 21. "I changed policy yesterday. So to buy a long gun, including an AR, you have to be 21 years old," Jason Cazes, from Washington state, told HLN's Carol Costello. 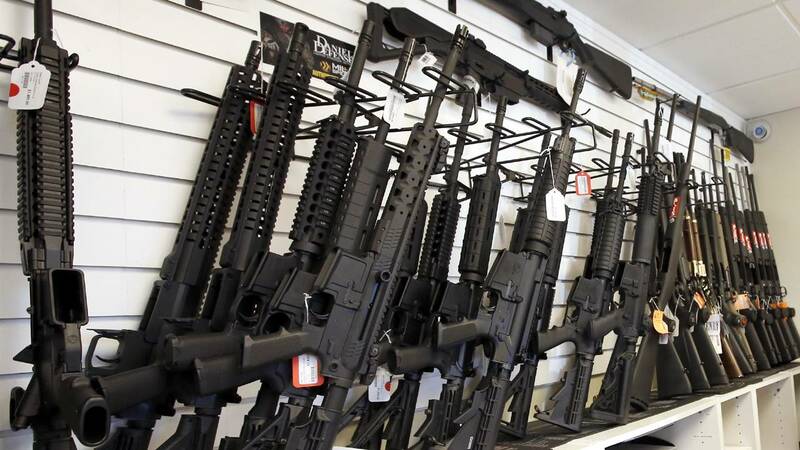 Legally, people can buy rifles at 18 years old in Washington, just like in Florida. But you have to be 21 to buy a pistol. "I would like to be proactive rather than reactive because the reactive solutions that we come up with don't work," Cazes said, explaining why he's not waiting for legislation to pass. Seventeen people were killed last Wednesday in a shooting at Marjory Stoneman Douglas High School in Parkland, Florida. It was the ninth-deadliest shooting in modern US history. Nikolas Cruz, 19, confessed to the shooting and is suspected to have obtained at least 10 firearms, all of them rifles. Investigators are trying to track the purchases, which Cruz appears to have made in the past year or so, according to a source briefed on the investigation. Cazes, who is originally from Louisiana, told Costello he's lived on both sides of the political spectrum and believes that raising the age limit on AR-15s is a solution that both sides will accept. "Currently the handgun age is 21. And it has an FBI check and a state check. But the long gun age, which includes ARs, is only an FBI check," he said. "It doesn't have a state check, and the age issue is also another problem. So I would say let's meet in the middle and say let's get this age thing fixed. And put it into a bill." A firm supporter of the right to bear arms, Cazes made clear that the bill he's proposing should not touch ARs, which are legal, or high-capacity magazines. He told Costello he keeps an AR-15 in the trunk of his car. "That's my weapon of choice for defending myself and my family," he said, adding, "There's no button we can push magically to get rid of all guns. Some people think that's some option we have, and it's not." Cazes, who has been a gun shop owner for more than 15 years, made one exception to his new rule. "If you're on active duty or honorably discharged military, you would be exempt because you have been through boot camp and know how to be a man and use this gun."